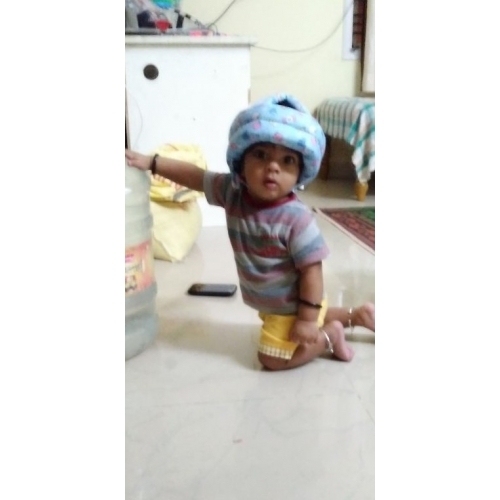 Product is very useful to my 6 months old kid as he trying to stand and if he falls it will help him. very nice product and prompt delivery. very happy with the product. Product is very useful to my 6 months old kid as he trying to stand and if he falls it will help him. very nice product and prompt delivery. very happy with the product. Thanks a lot for posting your photo here. If you like it, you can share your pleasant feedback with your friends. I would truly appreciate that from you. Im deeply glad to know that you are satisfied with this helmet. Welcome to visiting us again.